Good morning to all of you. Well, so here I/you go. 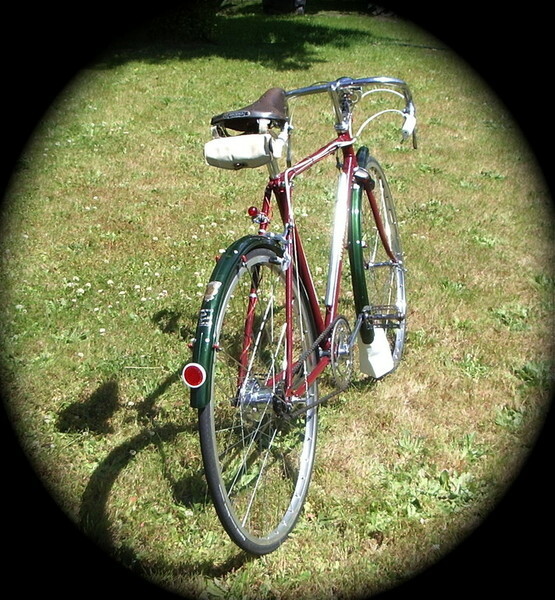 I have a new series of photos of the Rudge. Go ahead and have a look :) I will fill in blanks soon. 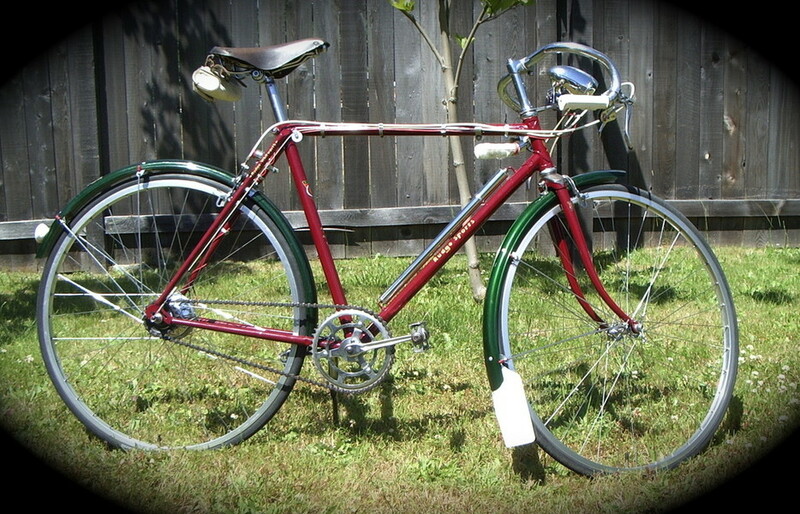 The 1954 Rudge Pathfinder, a truly classic Clubman. These frames were built with Reynolds 531 butted chro-molly; beautifully lugged and all three main tubes are off different diameters. 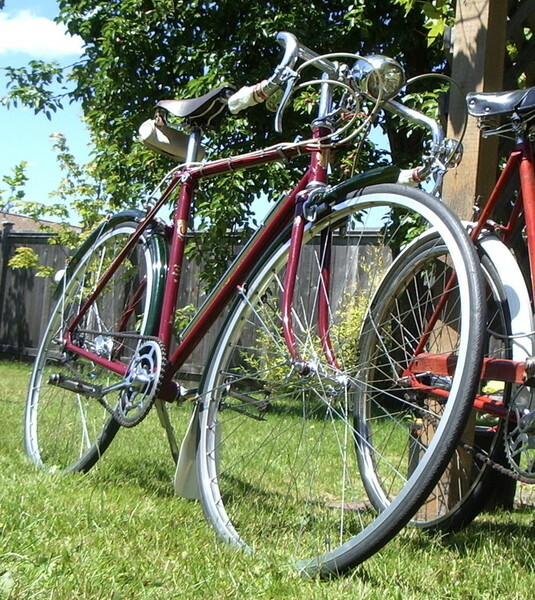 Rudge, since 1869 was an innovator, and the industry noticed well. 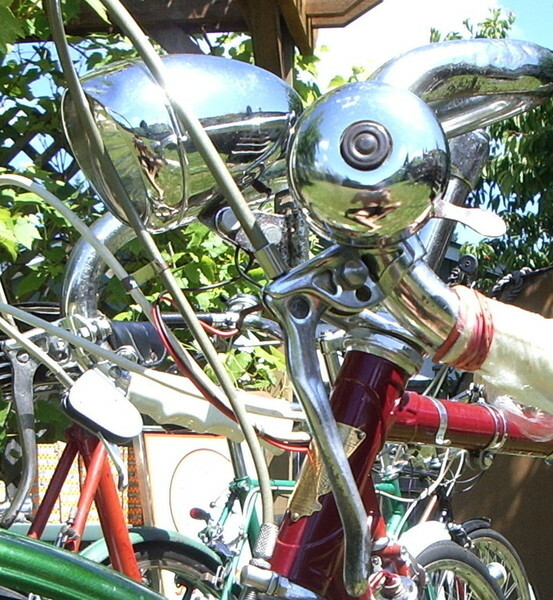 Rudge bikes were stated to be Britain's best bikes. 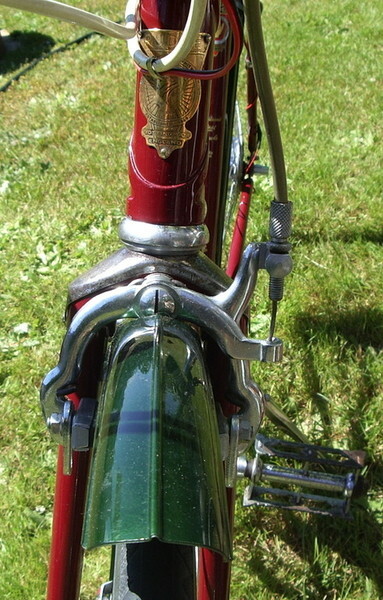 After the second war Raleigh bought the company and kept them in production for some time, continuing to be their top end model till their eventual retirement. 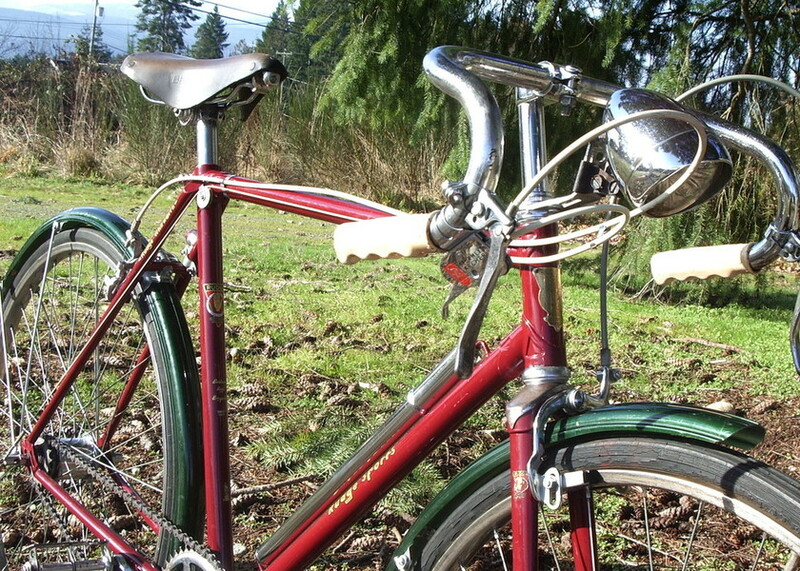 Though many Raleighs and Rudges were alike, even identical in some models. This one here I started working on in the last bit of October 2011. I recovered it (as well as a few others) from a garage that withstood the 1964 tsunami. 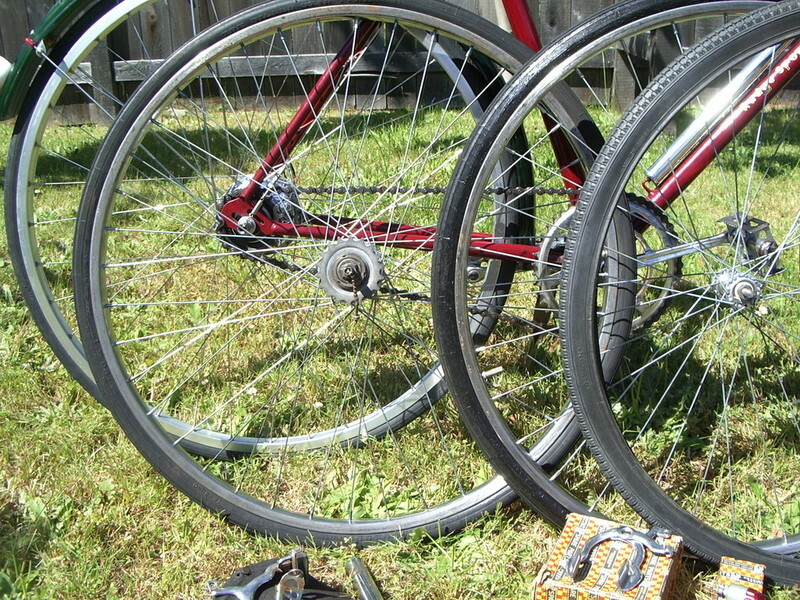 It was quite interesting as the fellow (a nice guy I might add) was handing me all of these rusted, grimy, ceased, and rather dead bicycles all covered in spiderwebs. I kept one eye on them and one eye on the garage rafters. Well, so after about 10 minutes the fellow says, "OK Ozz, that's it. That's a good start to getting this empty. Next week they are coming in and they're going to bulldoze it all down. They are going to clear the whole property he says." Now of course I had to say it, "Well how about that one up there?" He was like, "Oh yeah, gee, I never new that was there. I wonder how long that has been up there." I looked closer and quickly determined a long, long time. I thought maybe I had better suit up before this tackle, and a tackle it was. Though the entire time, even though I knew it was so re-painted and rusty, I could feel a gem up above. After rubbing off the first coat of barn red I got to this nice metalic green. At first I thought it was the original paint, then I could see it was not. 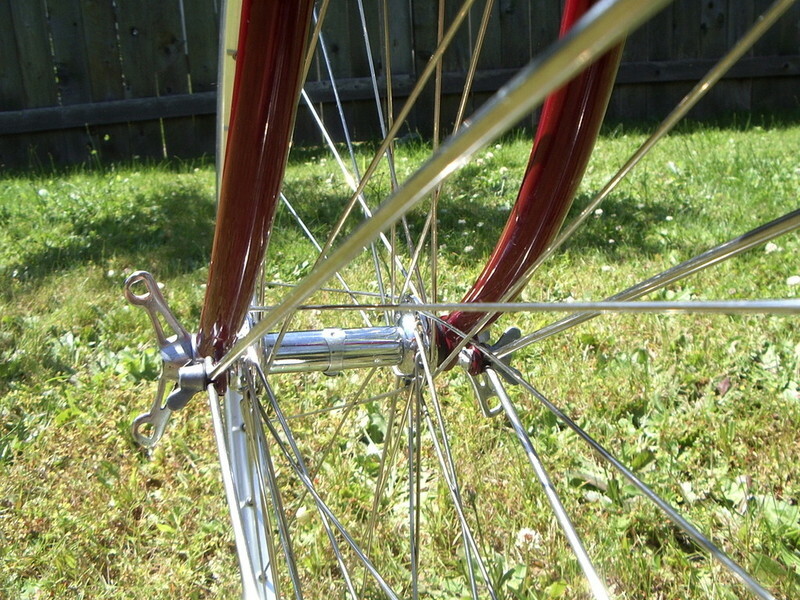 I knocked off the fork crown, peeled off the top cap, and sure enough a real nice deep maroon appears. 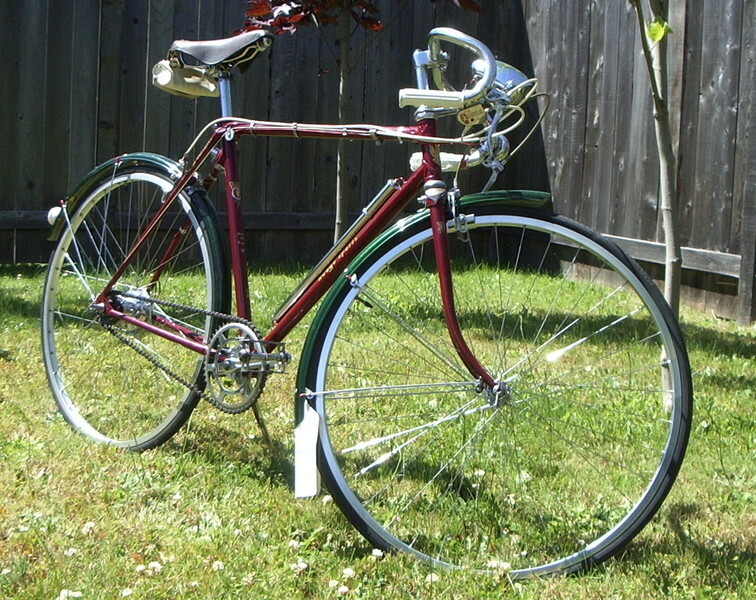 So, now getting to the original color I was able to determine the year and model of the bike. 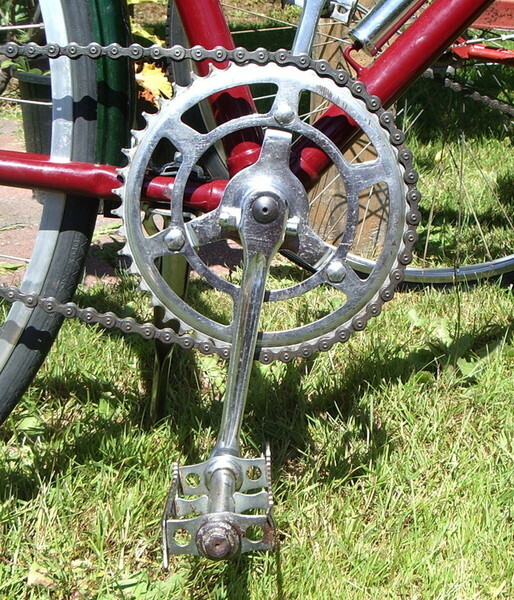 As well, the rear Sturmey hub is dated for November 1953, in production for the 1954 bikes. 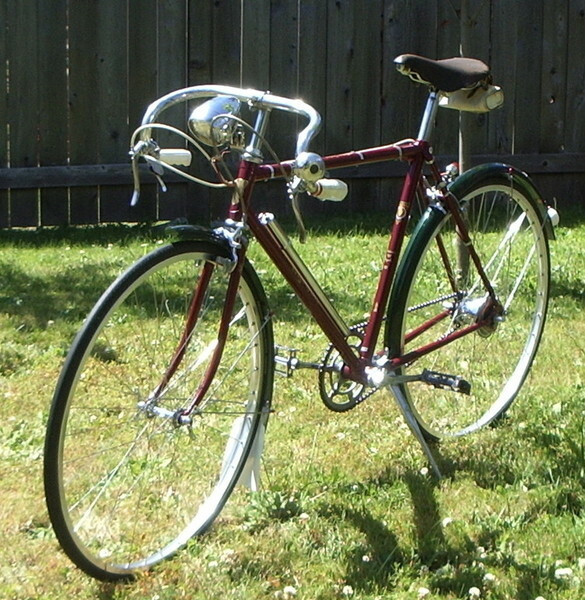 I have all the original parts except for the rear brake assembly, though I think I can find it. November 30th 2011 - "It's back, and it's Beautiful...all newly painted"
Over the past few days I have put my "RUDGE" back together. I have been able to locate NEW OLD STOCK and original front and rear brakes. 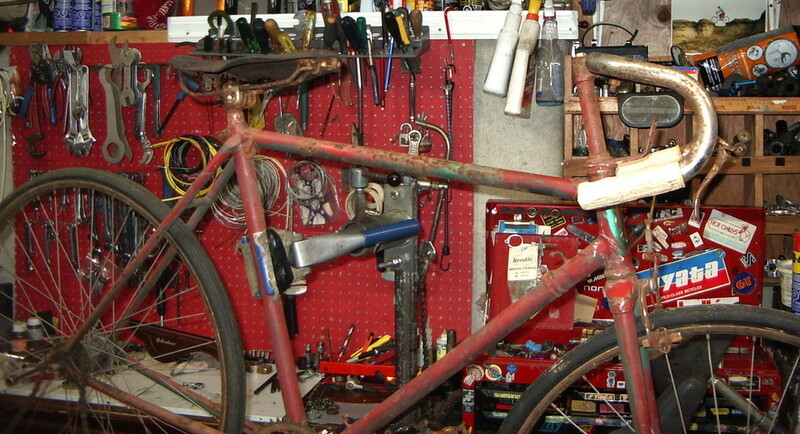 The only thing - there was no rear brake cable, and no brake levers. 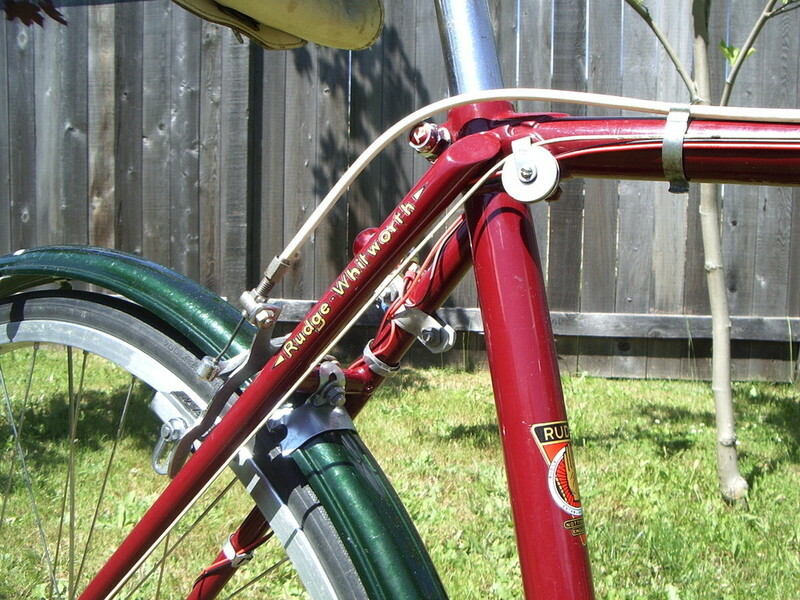 Though I was able to get new brake lever crowns, and I used the original front lever, and I found another that was very close. To get the rear brake operable I joined a new old stock front cable with the original front cable; this works fine for now. 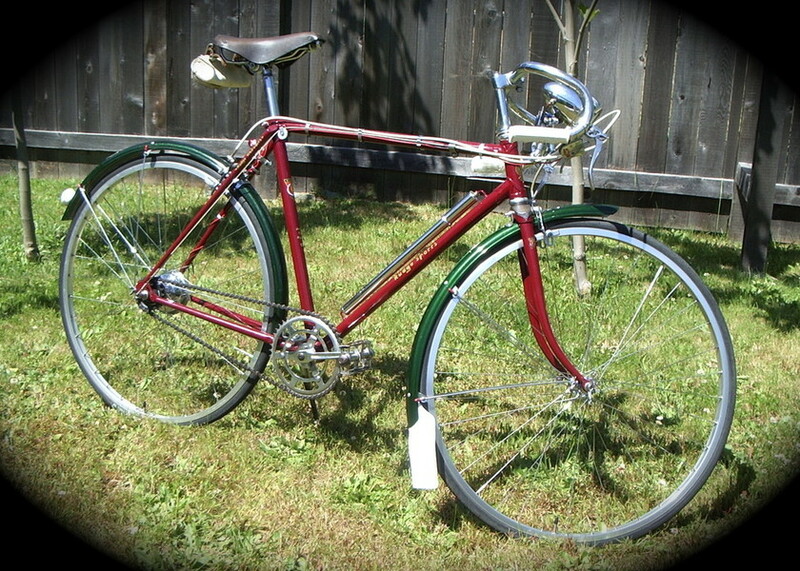 So I am now still on the hunt for a grey Raleigh Albion Rear brake cable assembly (Vintage 40's 50's). 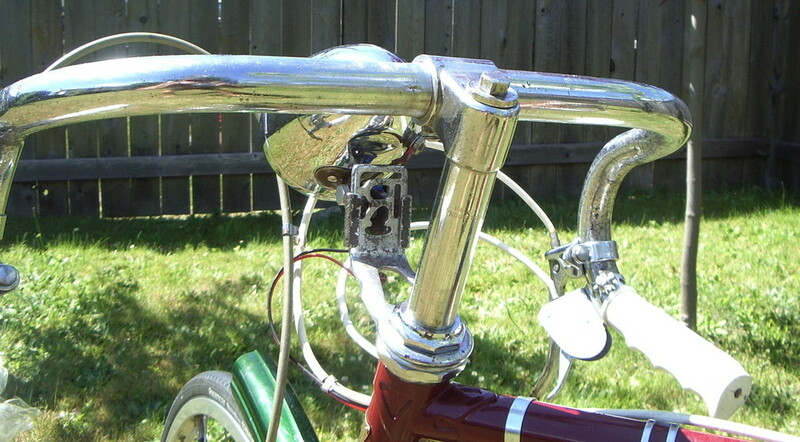 I am also close on style with the 3 speed Sturmey Archer trigger shifter. As yet I am on the hunt for an original era shifter, and have had to also join cables in order to have this shifter operational. I tried to save the saddle, but to no avail. 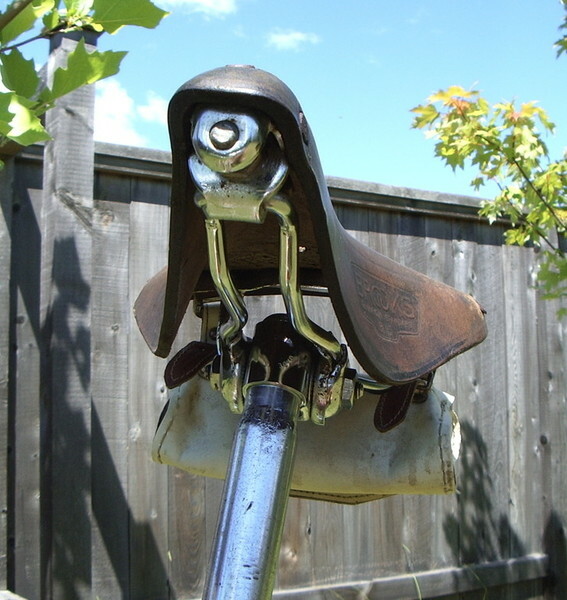 However, I now have a used original Brooks B15 saddle on its way. I was able to come across frame transfers. I am not certain of their year, though they are very close. 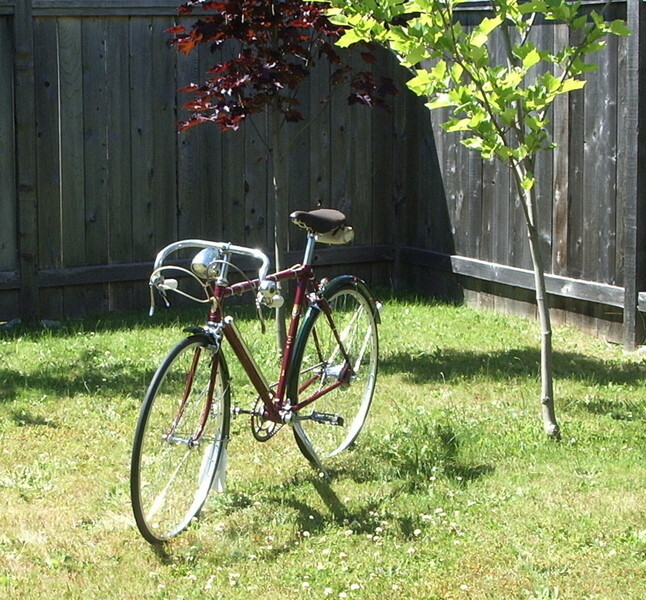 This bike is in EXCELLENT SHAPE. It's been around for almost 60 years and truly could roam the streets for another 60 years. I loved this RESTORE.... and it's simply one of my Best. 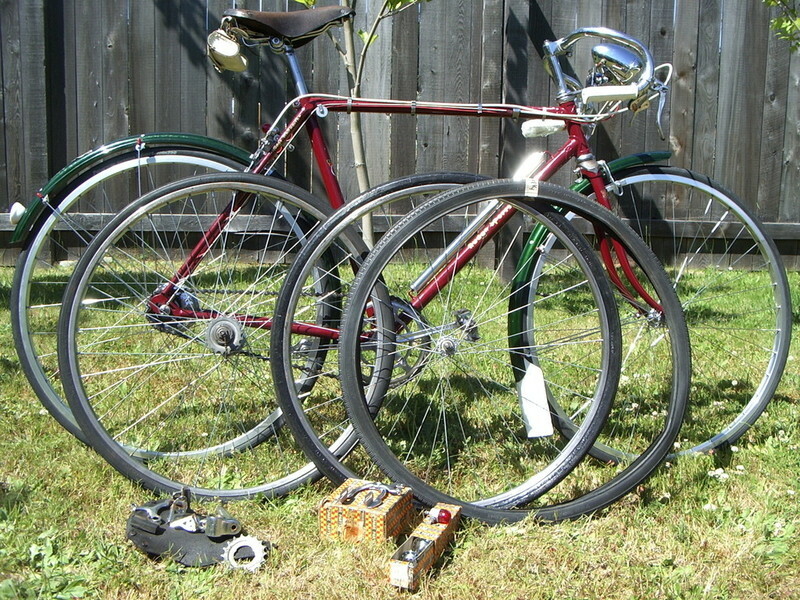 As yet, still awaiting a new saddle, and a couple of cables. 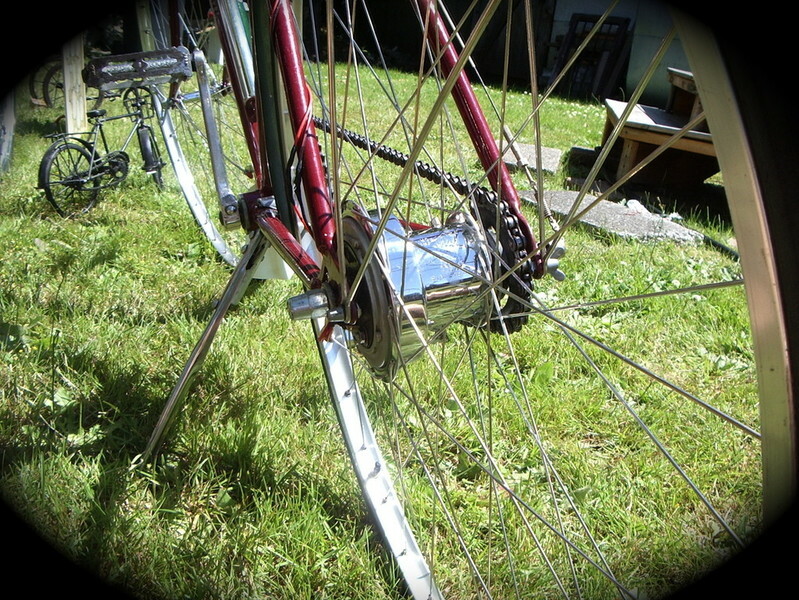 Today I added a Sturmey Archer shifter from a 1965 CCM Imperial. 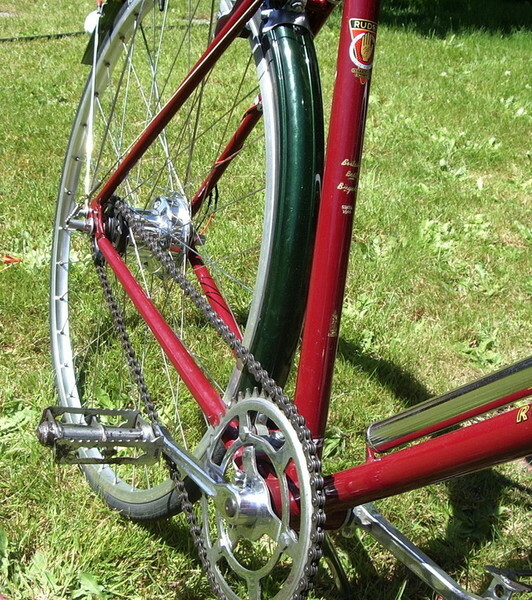 I also refurbished the 3 speed cable and now the RUDGE is looking much better. 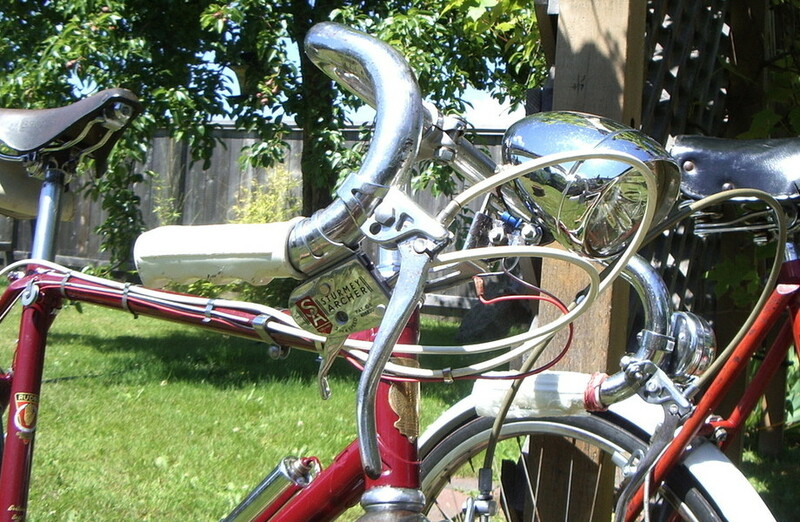 This shifter is much more to the era, and with the writing on it's body. 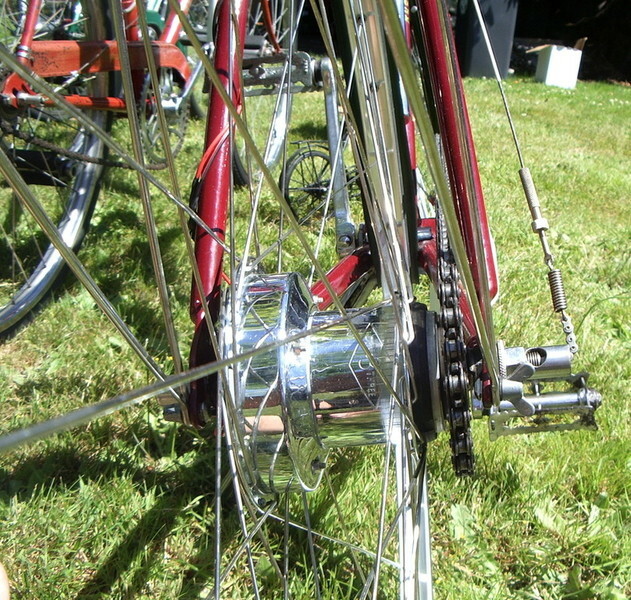 - Sported the Sturmey Archer rear internal gearing, and some with Dyno lights and hubs, both owned by Raleigh. 1) NOS OEM Vintage - Front and Rear Brake assemblies Calipers & Cables stamped Raleigh Industries. 3) NOS OEM Vintage - Front and Rear Brake lever Crowns Stamped Raleigh Industries. 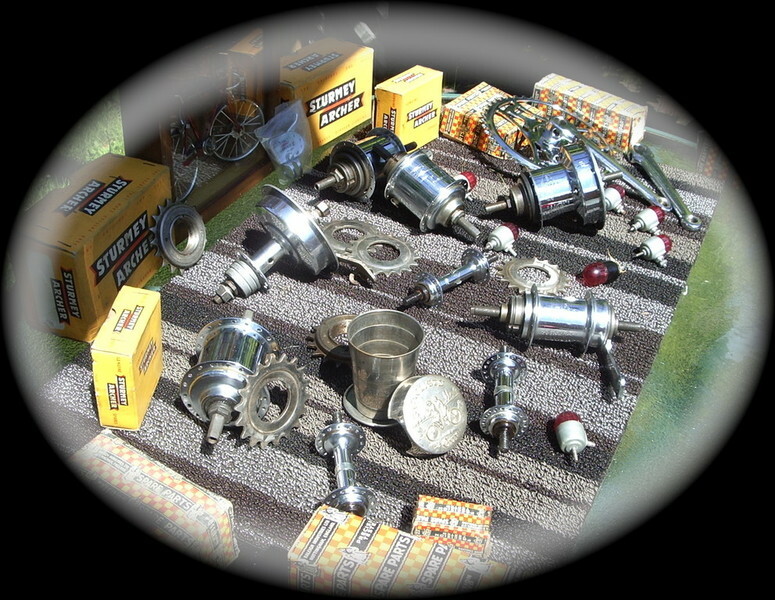 4) NOS Vintage Rudge Sports transfers. 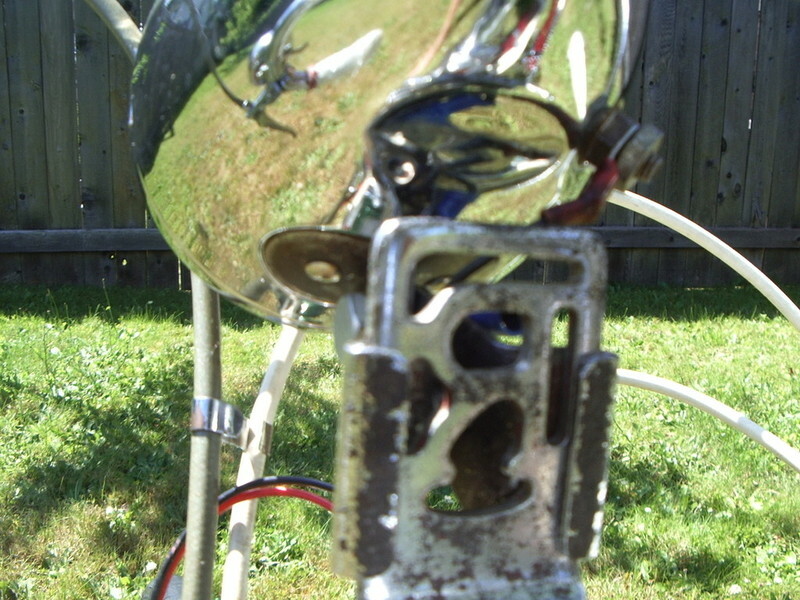 5) Stem - Replacement Raleigh Industries stem - exact same angles & measurements, off of a 1960's Raleigh Sprite. 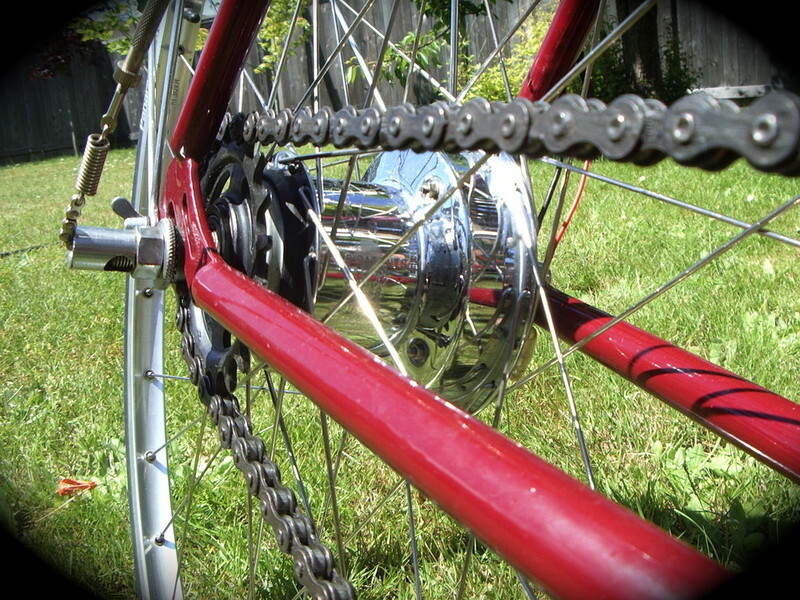 6) Sturmey Archer 3 speed trigger shifter off of a 1972 Raleigh folder... Close to the same though newer, with writing on the plastic. OEM has the writing on the shifter and has an indicator window, allows rider to see what number of gear the bike is in. - OEM The Silver Star Tyre 26 x 1 1/4 RARE Original in good shape & tubes too. 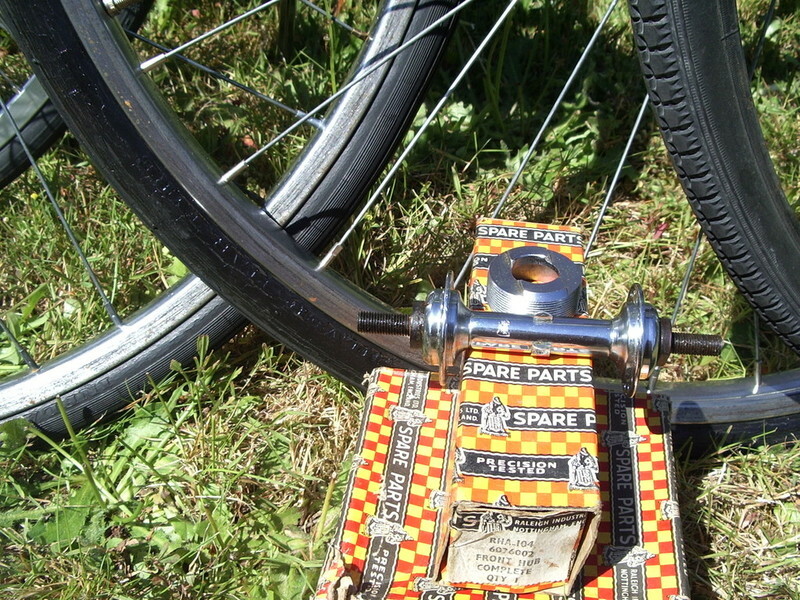 - Stamped Raleigh Industies front hub. 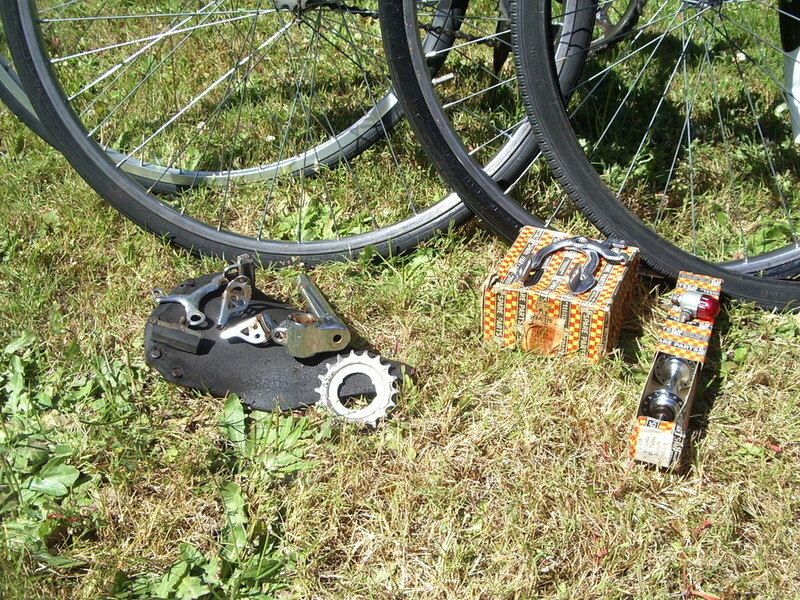 I now have the correct Sturmey Archer 3 or 4 speed trigger "Flick" shifter. 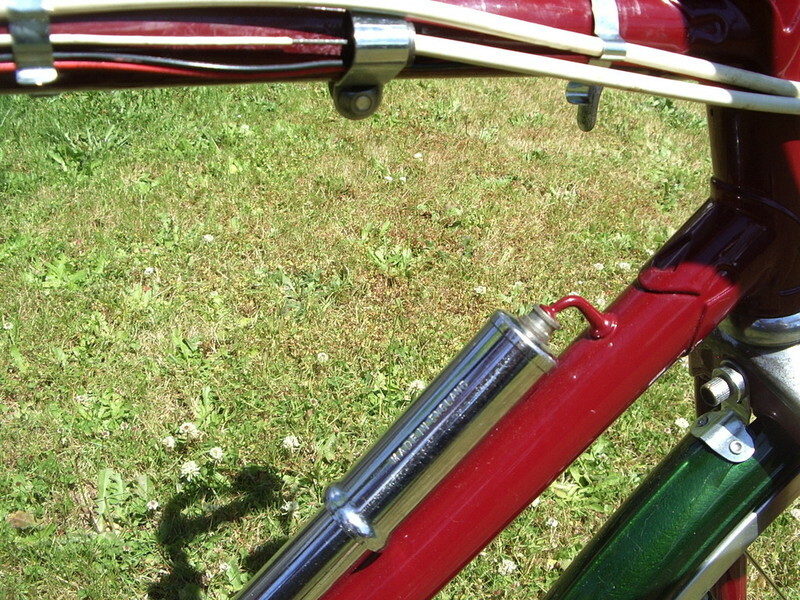 I have also now found a decent rear Raleigh brake lever, it's the correct one. 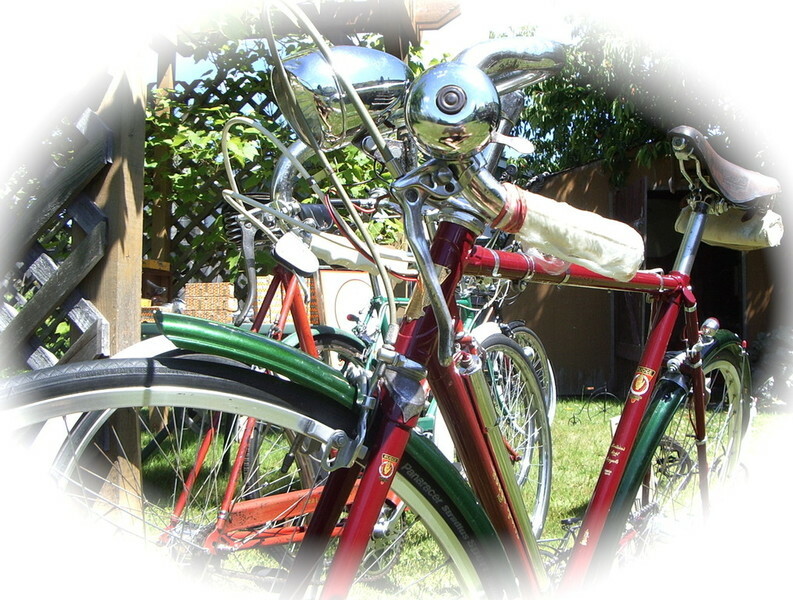 Here in this gallery I show the Rudge with NOS Vintage made in England dark green Club Special BlueMels fenders. 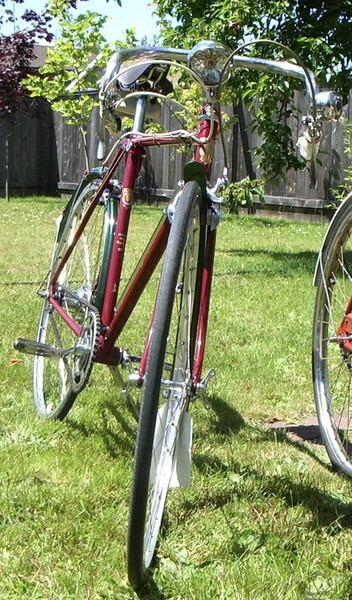 Fenders like this came stock, though they were white.